The United States has long been a global leader in protecting and resettling persecuted refugees, and over the years has encouraged other countries to launch or expand resettlement programs. Resettlement is an important path to protection for a small portion of the world’s most at-risk refugees. It is also a critical tool for advancing U.S. foreign policy and national security interests, supporting front-line states and allies who are hosting the overwhelming majority of the world’s 22.5 million refugees. 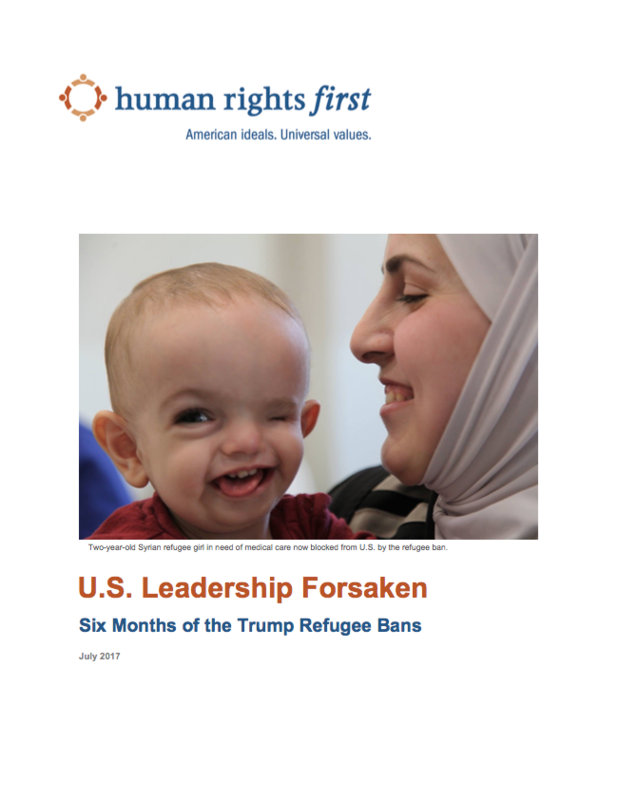 Six months ago, on January 27, 2017, President Donald Trump traveled to the Pentagon to sign an executive order that sought to ban the resettlement of Syrian refugees indefinitely, prioritize religious minorities, slash all refugee resettlement down to a historic low of 50,000, halt refugee resettlement for at least 120 days, and suspend entry of citizens of seven predominately Muslim countries—Iran, Iraq, Libya, Somalia, Sudan, Syria, and Yemen—for at least 90 days. The order, issued just days after President Trump took office, followed a presidential campaign that promised a Muslim ban and vilified refugees as supposed security threats. After U.S. federal courts blocked parts of the order, the president signed a revised version on March 6, 2017. That order removed the Syrian refugee ban and deleted exceptions and preferences for religious minorities. Although the revised order maintained the travel ban, it removed Iraq from the list, leaving the other six countries. The order kept the provisions to suspend resettlement and cut the year’s target down by over half to 50,000.